Premiered by Mista Jam on BBC Radio 1Xtra and i-D Magazine online, G FrSh's newest track ‘Falling High’ is certain to have you fall in love with him all over again. ‘Falling High’ follows the success of his ‘Legoman II’ mixtape back in 2013. Accompanying ‘Falling High’ comes the announcement of his forthcoming and highly anticipated EP, ‘Alfie’, set for release this Spring. Aside from his lyrical ability, G FrSh who hails from South London is also very educated - he graduated from Dulwich College where he won a scholarship, then went on to studying economics at UCL and is one of the most respected rappers in the UK hip-hop scene since he began making waves in 2004. G FrSh got early support coming from the likes of Zane Lowe, Mistajam, Charlie Sloth, DJ Target amongst many others. 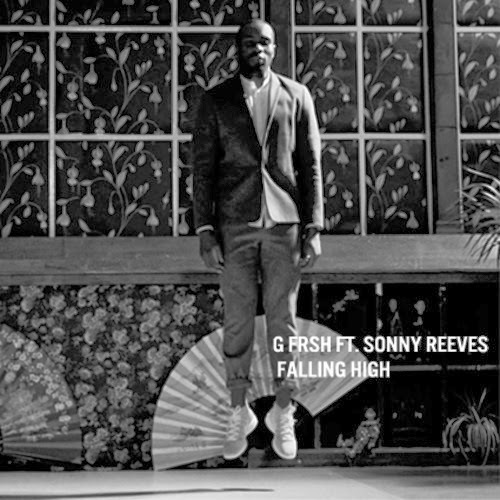 Currently managed by Disturbing LDN and signed to Parlaphone Records, G FrSh appoints Sonny Reeves for the hook of his new song ‘Falling High’, who brings a whole new layer of emotion on this track of pure class. G FrSh takes pride in his meticulous attention to detail, whether as a performance or artist, as demonstrated in ‘Falling High’, he showcases his smooth flow and lyrical dexterity over a hazy beat, professing his feelings for the music industry politics. Look out for G FrSh's new EP ‘Alfie’ out this Spring.